Interested in engineering or architecture? You and your family are invited to join us on Saturday, November 24. Meet with professors, staff and students to explore everything UBC Engineering and the School of Architecture and Landscape Architecture has to offer. There’ll be cool demonstrations, fascinating lab tours, and informative presentations. Talk to advisors, professors and current students about all of your options. Learn how applied science can make a world of difference. Bring your friends and family to explore – we suggest you plan to attend the whole day, as there are activities happening throughout the day. 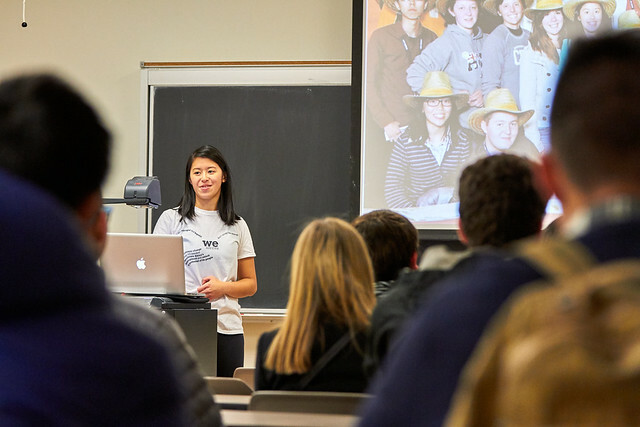 The UBC Engineering & Architecture Open House Program lets you ‘Engineer Your Day’ to make sure you don’t miss out on any activities like presentations, the academic booth fair, demonstrations, and more! This year we will be offering two types of tours: Lab Tours and Student Team Tours. Lab Tours will show you one of our undergraduate labs or research labs. These will give more perspective about some of the research happening within UBC Engineering or what types of labs an undergraduate student might experience. Please read the description of the Lab Tour for more information about each lab. Student Team Tours consist of a presentation from one of our Student Design Teams sharing details about their team, their projects, and competitions. After the presentation the Student Team representative will take you on a guided tour of our Student Design Team booths. For students interested in joining a Design Team, hands on extracurricular experience, competing nationally and internationally or working on a team, this is a great introduction to our Student Design Teams! Guests will be restricted to a single tour per person as there is limited availability. Please select only one Lab Tour or one Student Team Tour and ensure you register yourself and anyone that may accompany you. Are you a girl in Grades 10, 11, or 12? You are invited to our Women in Engineering Lunch where you can hear a panel of recent women engineering graduates and our current students share their experiences and have the opportunity to network with our current students and other prospective students. Check out the graduate and undergraduate Architecture programs, in-studio tours, info sessions, and more! For more information visit the SALA Open House website and register for SALA activities here.